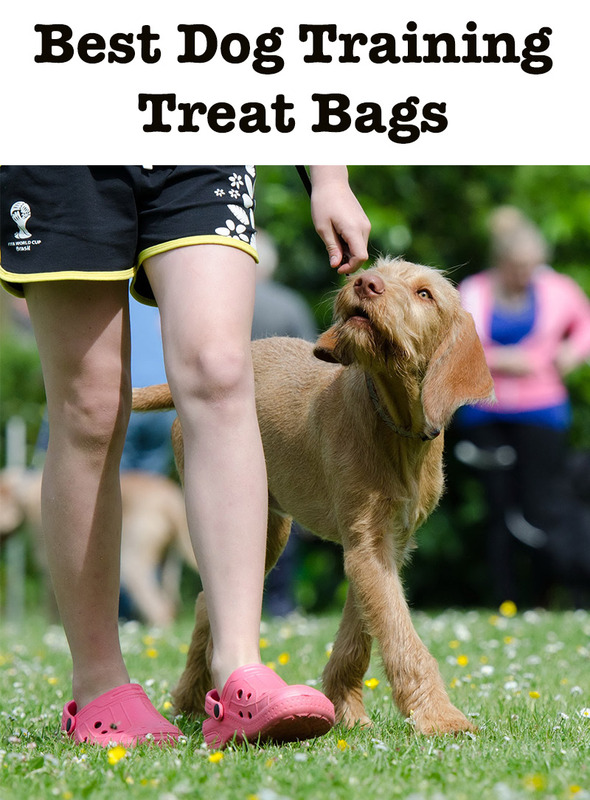 Are You Looking For The Best Dog Training Treat Bag? Pippa Mattinson Lets Us In On Her Tips For Choosing The Right Dog Treat Bag, With Reviews Of The Top Options. An increasing number of people ask me about dog training treat bags and I have tested pretty much every kind you can buy or make. This guide is about sharing what I have learned and maybe saving your pockets from a few crumbs. When I first started training dogs with food, around ten years ago, there was very little choice when it came to dog training treat bags. Mostly I just filled my old jacket pockets with kibble, or tiny pieces of toast and cheese. You can imagine what my jacket smelled like when I forgot to clean out my pockets at the end of a training session! Now of course, positive dog training is now the method of choice for professionals and pet owners alike. And we all need somewhere to put those treats. This means that the demand for dog treat pouches has increased. And there is now plenty to choose from in the way of commercially produced dog treat bags on the market. We’ll look at those today, but we’ll also have a look at homemade solutions too. There are a few important requirements you need to consider before you go looking for the best dog treat bag. The first is that you treat bags must be easily washable. It’s not much fun struggling to rinse bits of food out of the seams under a running tap. Ideally, you want to be able to drop the whole thing into a washing machine and have it come out smelling as fresh as a daisy. It’s unusual for the manufacturers to state that their dog treat bags are machine washable, but over the years I have put many different brands of treat bag in the washing machine and not had a problem with bags being damaged. If you don’t want to take a chance of your bag being damaged by the washing machine, then at least pick a bag with a liner that can be pulled out for easier access to cleaning the interior. The second feature is that you need more than one bag. Everyone who switches from traditional training to treat based training struggles at first with the notion that you need treats to be ready at hand in a variety of locations. Positive reinforcement has to be applied at the moment it happens, not ten minutes later when you have dug out that Tupperware box you stored at the back of the fridge. Treat pots and a treat pouch or bag needs to be easily ‘to hand’ around your home. And with young puppies or dogs in training you need a treat bag attached to your belt, another in your dog training bag or jacket pocket, and one in your car if you use that regularly. You also need a treat bag today, while yesterday’s is in the washing machine, and the previous day’s is hanging out to dry. That means your treat bag needs to be affordable when the price is multiplied by three or even four. The third important factor is that the treat bag needs to have an opening that stays open. Again, reinforcement needs to be immediate to be effective. It’s no good struggling to get your hand into a treat pouch that has collapsed into a heap in the bottom of your pocket, while your dog gets bored and wanders off to find a leaf to chase. On the other hand you don’t want the food in your bag to spill all over the place, so you do need some means of closing/sealing the bag once you have finished training. That’s the fourth feature. This can be achieved by a zip or a drawstring closure, that pulls an inner layer across the top of the bag. I actually prefer the drawstring option to the zip. The fifth and final feature you need is a waterproof lining to the bag. That’s because sometimes, especially when you introduce training around distractions, you are going to need more powerful rewards. And powerful rewards are often wet and sticky! Okay, so we need a bag with a mouth that stays open, but that can be closed when you want to close it. A bag that is washable, and also waterproof inside, and we need several of these treat bags, so they need to be affordable. Not every model will have these five boxes ticked, and you might need to decide what your personal priorities are when you look around. Now that you have your shopping requirements, let’s see what’s on the market! We’ll start with a popular style of dog training treat bag – those with handy shoulder straps. The Paw Lifestyles bag is one of the most popular dog treat bags on the market. It is a good sized bag, will hold plenty of treats and can be worn as a shoulder bag, as well as clipped on a belt. This is a handy feature in the winter when your belt is likely to be covered by a jacket. There are also a number of handy compartments for phone, keys etc. Most of the popular bags have these additional pockets and they are very useful. This bag also has a built in poop bag dispenser. It comes in a stylish shade of grey. Another nice option is the Hero Dog training treat bad with shoulder strap. The inside is a bright orange, which makes it easy to spot and pick up treats. You can also separate different treat types into compartments, so that you can easily select low or high value rewards. In addition to this the mesh bag and two zippered pockets enable you to keep your stuff safe, and free from treat crumbs! It closes with a drawstring and includes a collapsible treat bowl. You can order one on Amazon here. Treat bags with magnetic closure are incredibly useful when doing positive reinforcement dog training. The quick access and closure of the pocket means that you can promptly deliver treats. But also stops your dog from poking his nose in at the wrong moment. The handy EZY dog treat bag with magnetic closure is a convenient choice for dog trainers who want to get at their treats efficiently. It’s designed like a big dog treat bum bag, with a large front opening that can fit up to two cups of treats. In addition to this there are three secure compartments to keep your phone and keys safe while you walk. It even comes with a free clicker, and D ring attachment for it. You can get further details on Amazon here. Another strong contender is the Olly Dog treat bag with magnetic closure. This cute, brightly colored pouch has a large, easy to use magnetic opening for your dog treats. It’s a small dog treat bag, but will do the job for more brief training sessions. And it even has space for your keys. You can wear it in three different ways, including on your belt, with it’s own waist belt or on a Velcro loop. Bark Outfitters dog treat pouch bag is a nice bold color and comes with plenty of space for treats and your accessories too. This clip on dog treat bag attaches to your waistband, giving you easy access to your treats. The drawstring closure might not be as simple as a magnetic one, but it does give you a varying degree of options for the size of the opening. A big plus in its favor is that it’s full machine washable, so you can use messy treats without worrying about the long term state of the bag. Take a closer look on Amazon here. Korns dog training treat bags pouch comes with a host of handy accessories. From a poop bag dispenser to a collapsible bowl. It boasts two carabiners and has the option of a waist belt or shoulder strap . The bag is also waterproof, so you don’t have to worry about your things getting wet if it starts to rain. Find more information on Amazon. The PetSafe Treat Pouch is another great choice. It’s a neat design, with a clever hinged opening. This allows you to easily and quickly remove treats when you need them. You have a couple of options for attachment, from a detachable and adjustable belt to a simple clip. Usefully, the lining is also water resistant, so perfect for those messy, high reward treats. 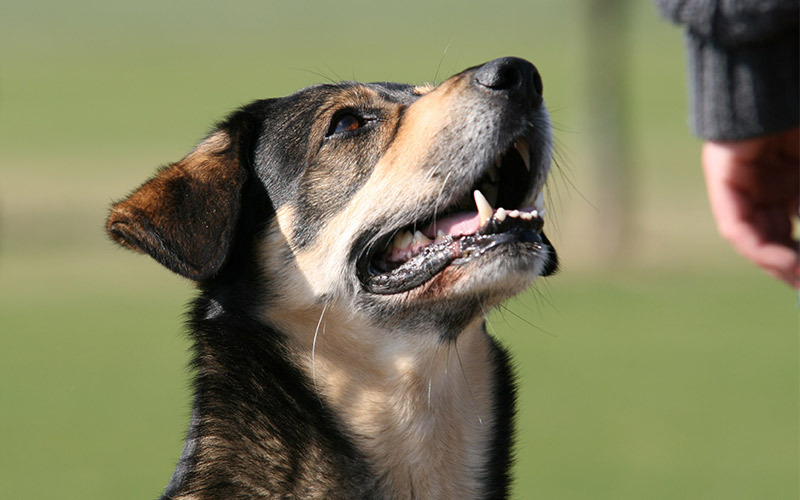 There are a couple of other good options when it comes to choosing a dog treat bag with belt. The Doggone Good Rapid Rewards Deluxe treat bag is a great choice for most dog owners and trainers. It boasts both a magnetic closure and a cord pull. Making it nice and easy to reward your dog efficiently. The bag itself is big, fitting up to three cups full of training treats. It even separates so that you can keep your high and low reward, or messy and dry treats, apart. Bark Outfitters Pink Dog Treat Bag is a great choice if you are looking for a light, bright bag. You would certainly have a job losing it out in the woods with its colorful finish! This bright pink dog training treat bum bag is a good option for training too. It has several pockets with secure zips, as well as a small D-ring. The wide belt is well padded which should give it a comfortable feel, and fits a large variety of waist sizes. The very best dog training treat bags fulfil five criteria. It needs to be easily washable, have more than one container and an opening that stays open. In addition to this ideally you want an easy way to close it up, along with a waterproof lining to keep those mucky treats contained. The bags above cover several if not all of these features, and would all provide helpful training aids to the right owner. I hope you’ve enjoyed checking them out, and that you find the perfect dog training treat bags for you.